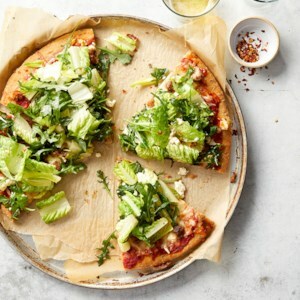 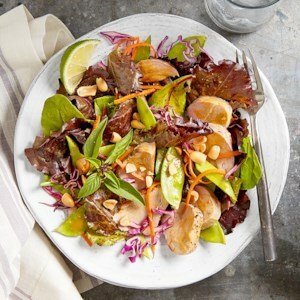 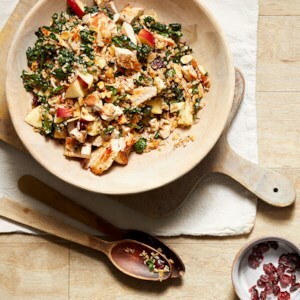 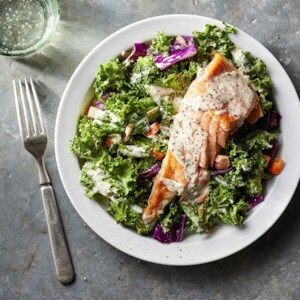 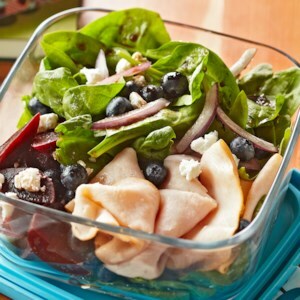 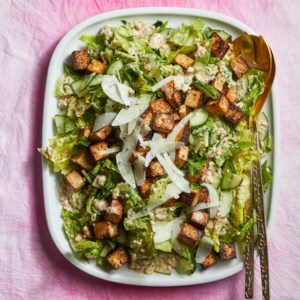 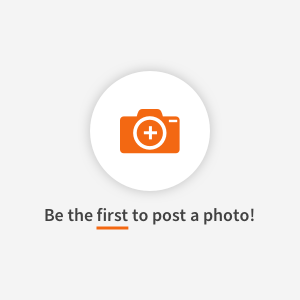 Find healthy, delicious high-protein salad recipes, from the food and nutrition experts at EatingWell. 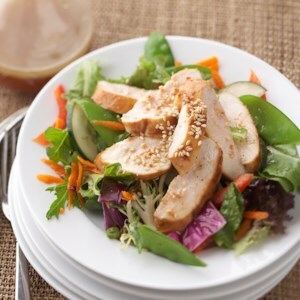 This healthy grilled chicken salad recipe takes taco salad to the next level! 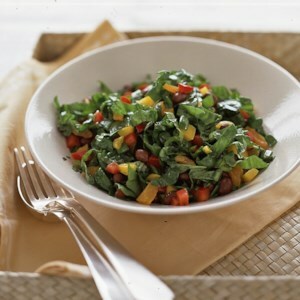 Packed with veggies and topped with a creamy homemade cilantro dressing, this easy dinner salad is a great healthy weeknight meal. 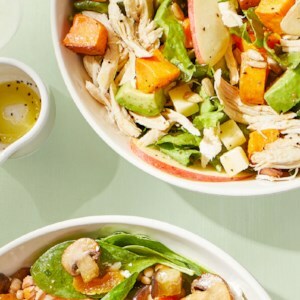 Download this free cookbook with 14 of our favorite healthy salad recipes. 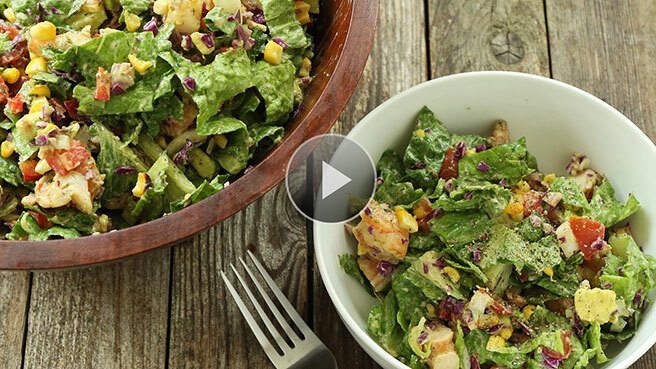 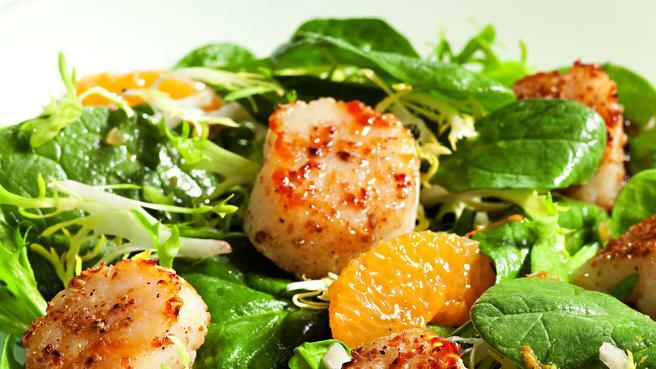 This salad is bursting with flavor! 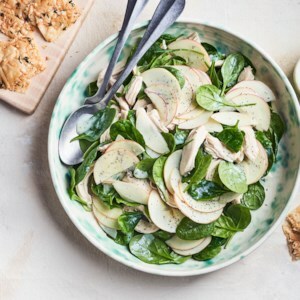 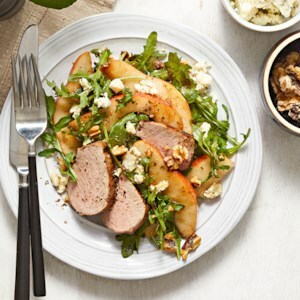 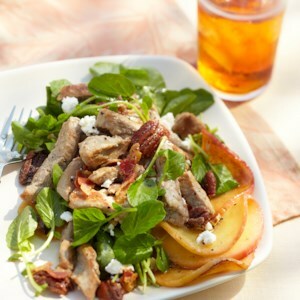 Peppery watercress, salty pancetta, fruity apples and sugary-sweet pecans are served with crumbled goat cheese and an apple-honey vinaigrette. 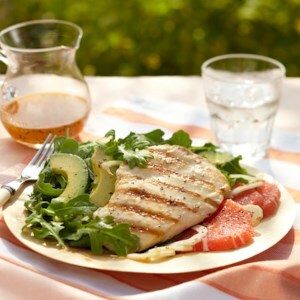 A paillard is a piece of meat pounded thin and quickly sauteed. 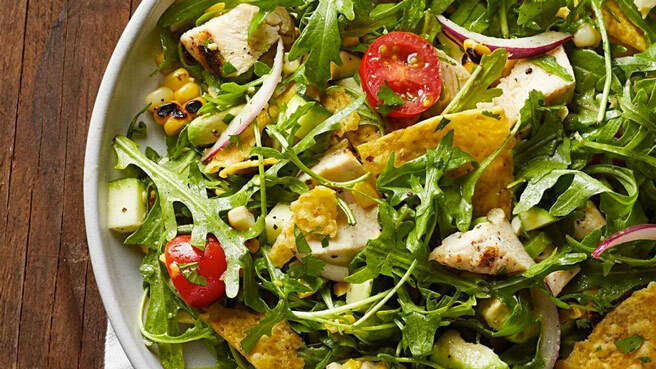 A tender chicken breast paillard tops a gourmet salad of arugula, fennel, avocado, grapefruit, and a special Champagne vinaigrette. 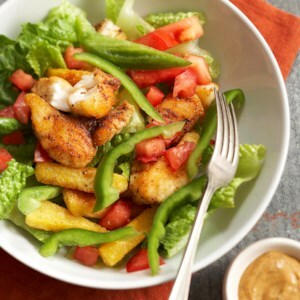 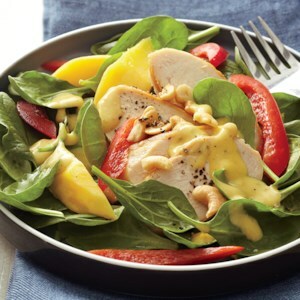 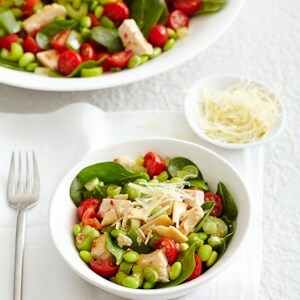 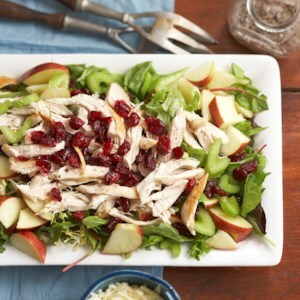 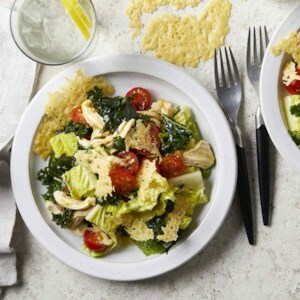 This fruity green salad with chicken offers an explosion of flavors in each bite. 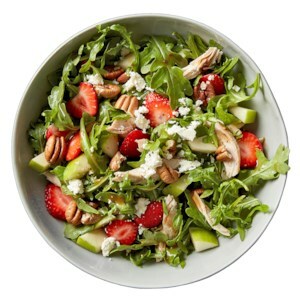 The taste of sweet strawberries, peppery arugula and tangy feta cheese is enhanced by the intense balsamic vinaigrette dressing.